Ten years ago, my wife gave me an iPod as a Christmas present. I loved it from the start: I had joined the digital music revolution. This Christmas, Karen gave me a Sonos Play:1 speaker. What a great piece of kit. My early experience reflects the positive reviews of the Sonos Play:1 on Techradar and elsewhere. The sound is excellent – it has made me rethink the idea that quality sound needs two, stereo, speakers. I’ve not experienced any lost connections. It was amazingly simple to set up my Sonos system. The only gripe was that Spotify disappeared from Sonos on Boxing Day but once that was sorted I found it really easy to play Spotify through Sonos. 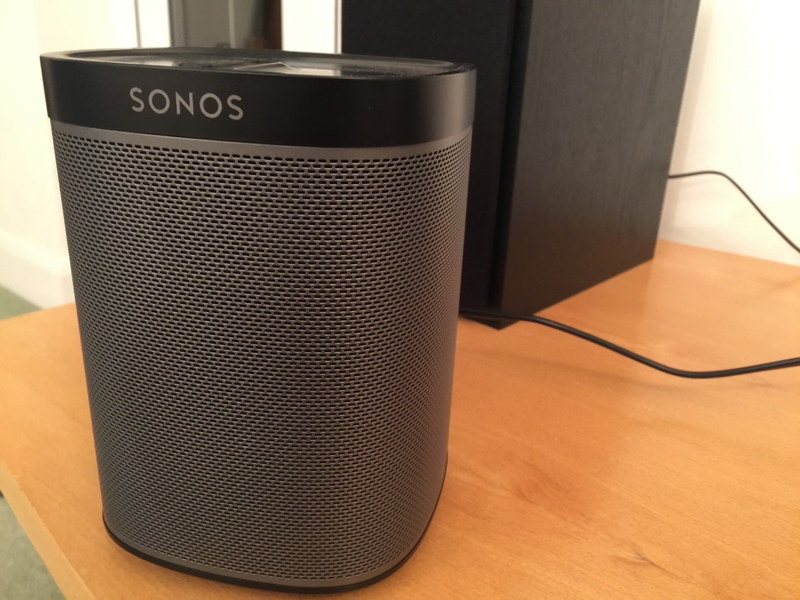 This entry was posted in Tech and tagged Airplay, Sonos, Spotify by Rob Skinner. Bookmark the permalink.